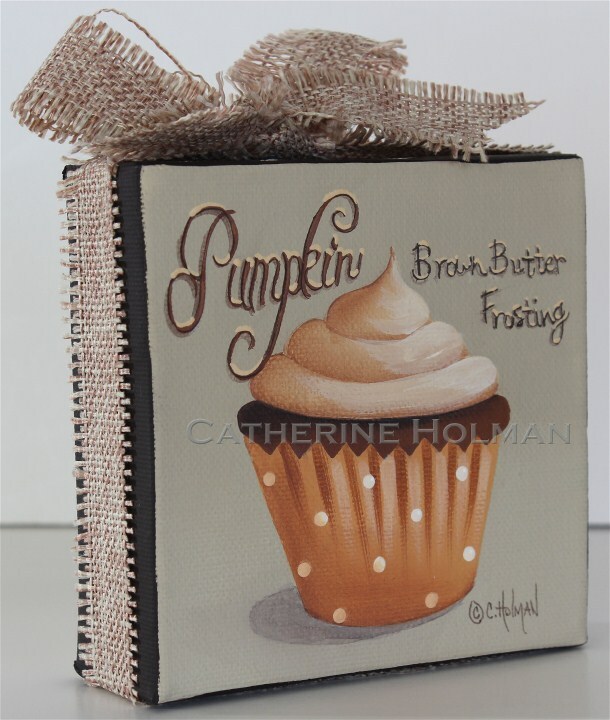 Hot off my paint table, is this little 4" x 4" cupcake painting that I listed on eBay. 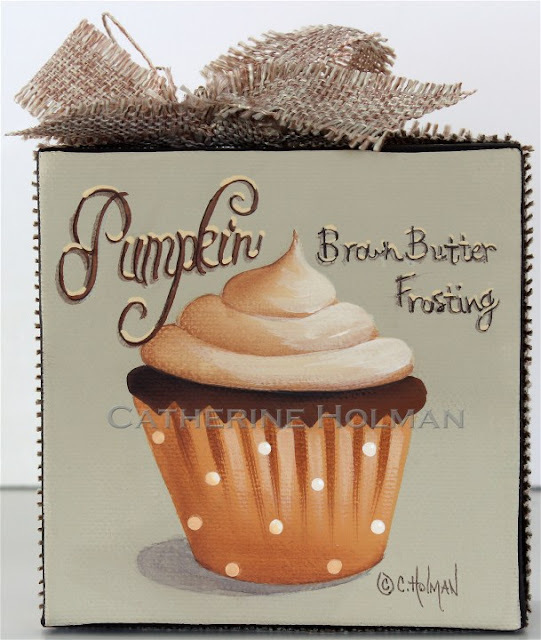 "Pumpkin Cupcake Brown Butter Frosting"
Fall is in the air as well as the aroma of a freshly baked pumpkin cupcake. This autumn delight is topped with brown butter frosting and tucked into a polka dot cupcake liner. "I can't believe how nonchalant the gas station clerk seemed when she told me that, in just a few days, the streets are going to be filled with tiny, little ghosts and goblins." I've spent part of my day making treats for the little goblin guests that will be visiting tomorrow night. I only hand out these handmade treats to children that I know personally. Sorry, but all remaining ghosts and goblins get prepackaged treats. Are you making special treats for Halloween? How can it be, that a painting looks so delicious?